Jane C. Bardavid LCSW is the director of CAPE, the mental health clinic at the Samuel Field Y. She has experience working with adults and other adults, specializing in depression, anxiety, and stress management. Jane provides individual, group and family counseling. Are you feeling tense and overwhelmed from a layoff or having a family member unemployed? Statistics show that stress is the basic cause of more than 60 percent of all human illness and disease. How can we ease the effects of stress? This workshop will focus on learning the techniques to get you through this challenging time. It will define stress and help you regain the balance in your life to become a calmer and more joyful…You! 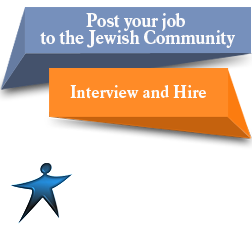 Employment & Career Transition Services, Legal and Financial Consultations, Supportive Counseling & Jewish Spiritual Care. Our Team Stands Ready To Speak With You.